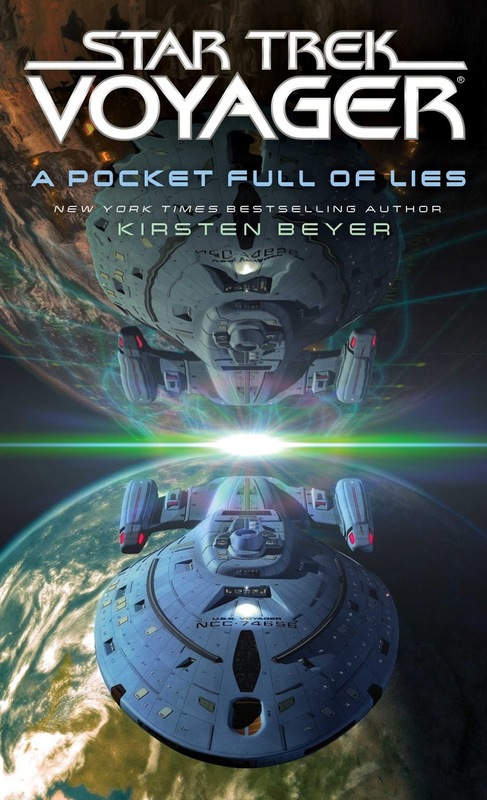 Lots of Star Trek books updates today, including a new blurb, news of several new novels on the way, and details of new non-fiction titles! 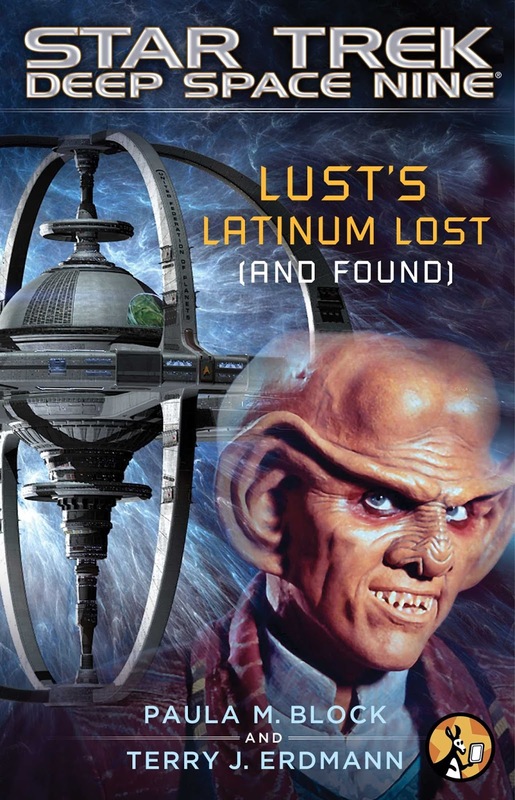 The most recent DS9 book was David R. George III's Ascendance, and as has become customary for many Trek authors George recently joined the guys on TrekFM's Literary Treks podcast to discuss the new release. If you have a listen you'll find in-depth discussion on the book, although if you've not read it yet you might find it a little spoilery (I tend to think of these podcasts as the book equivalent of DVD extra features, best enjoyed after having taken in the story). In the course of that discussion George did mention he is now contracted for two new Star Trek books, and that the first of those will be the continuation of the DS9 story, which he is currently working on. The second book hasn't been pinned down yet. The next two stories, they're both stand-alones, but there are threads, as many things I do, that connect them. I have a feeling that when they're done, which will about, eight or nine months from now, people will look back on them as a duology. This is much more of an exploration, with a sense of wonder and awe, with a nice cool mystery soft gooey center to the thing. But this next one really is a little bit more more just, we find something incredibly cool, and we have to figure out what it means and what's doing. And that leads to the next one which I have to say is going to be a little bit harder, but ultimately comes out in another moment of big light. I'm still trying to maintain the sense that we're back in the Delta Quadrant not just to pick up the pieces from the messes that we made the first time around, but to explore new stuff and find the stuff that will inspire us to keep exploring. At the moment, the events of this story will take place at a point after Headlong Flight…but there may be a twist or three…. While it’s not a novel, it’s definitely written “inside the box,” as it were, presented in a format that’s similar to those Lonely Planet or Frommer’s guidebooks you might buy before heading out on vacation to some exotic, faraway land. So, we’re talking a lot of small entries about various locales and points of interest, places to eat and stay, and things of that nature. 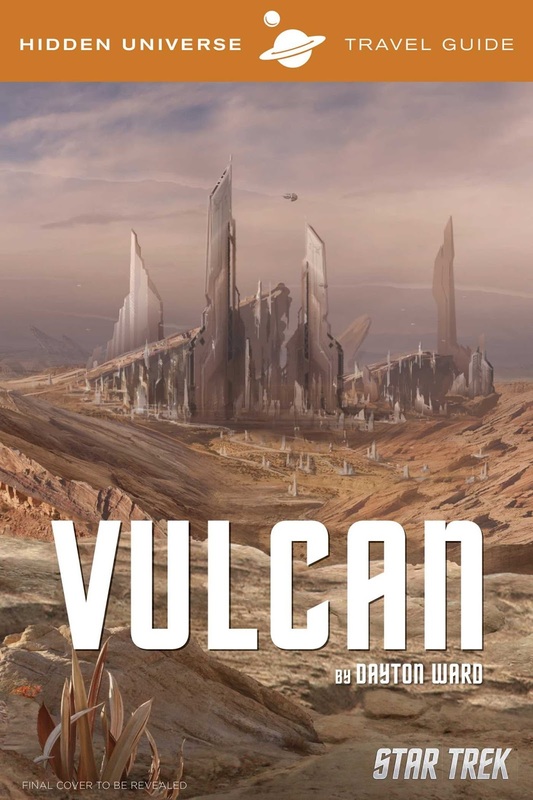 There will be maps to give you the lay of the land, and guide you on walking tours of ShiKahr, Vulcan’s Forge, and other places, and so on. 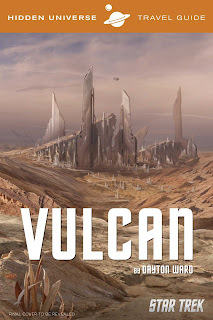 The book will also feature sidebar articles about various topics, like what you should do if you find yourself the inadvertent host to a dying Vulcan’s katra, or you get sucked into ceremonial combat to the death. You know, the usual vacation hazards. In one other bit of non-fiction news, the forthcoming updated Star Trek Encyclopedia, by Mike and Denise Okuda, is now listed on Amazon for pre-order, revealing an October release date. The book has been developed by Becker and Mayer, and it seems Harper Design will be the publishers. Amazon have this listed at an impressive 1056 pages, which are expected to arrive in a two-volume hardcover set. Equally impressive is the $150 price, although I'd expect that to fall over the pre-order period, indeed for a few days it was less than $90 - So I'd say this is definitely one worth a pre-order to catch the lowest offer! There's no new artwork or blurb beyond the previously released mock-ups just yet. I know Ms. Beyer says she wants to move forward, but we are consistently being treated to callbacks to previous VOY episode stories, and I'm not complaining. On a totally unrelated note, I'm feeling a tad nostalgic for some Kazons.